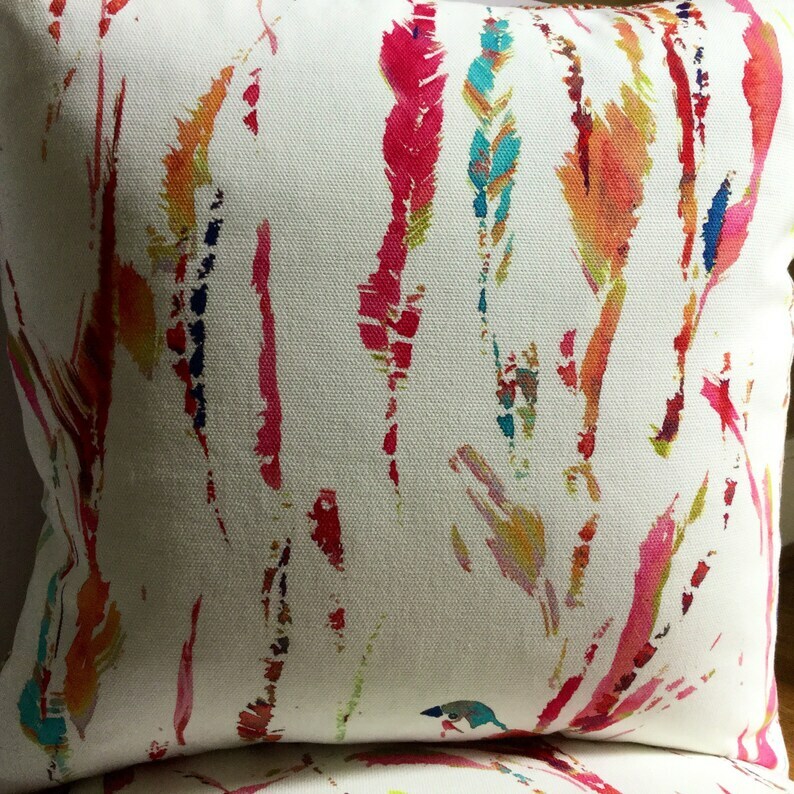 Bird and feathers abstract painted print on white decorator cotton front. 19” square pillow cover. Coarsely woven cotton backing fabric in coordinating multi colors. Knife edged with invisible zipper closure. Handmade in my smoke free pet free workroom. Dry clean only. 2 available, each is $25.